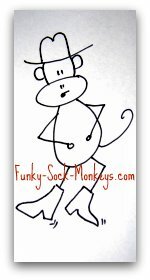 You can buy or make sock monkey clothing for your sock monkey friends. 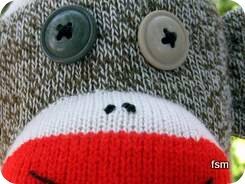 You could make some really cool sock monkey outfits, cowboys, astronauts, cheerleaders, pirates, farmers, wizards, ballerinas, any thing you can think of. 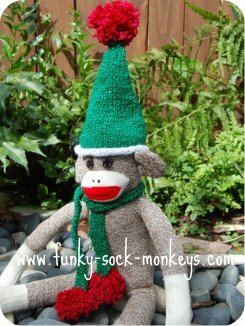 Keep your monkey warm with a yarn sweater and knitted woolly hat to match. Ho ho ho! 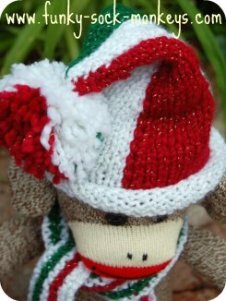 Monkeys will love to celebrate Christmas, keep the theme red and white. 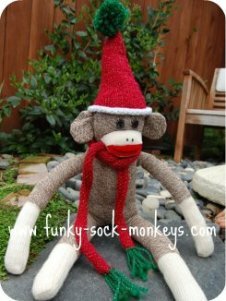 A great way to get your monkey into the holiday spirit. Dress your monkey up to be a beautiful ballerina in a charming pink dress and ballet slippers or just pop on a tutu. 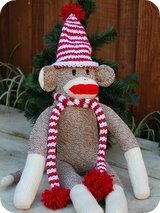 Make your sock monkey toy some pom poms and a little skirt and your well on the way to go Rah, rah rah! Howdy! 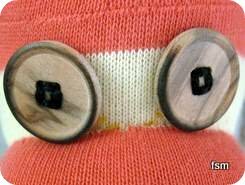 A sock monkey cowboy outfit will be easy to achieve with a brown vest, maybe stitch on some red stars and finish off with a cowboy hat. Argh, land ho! Sock monkeys can set sail in a fun pirate getup. Maybe red and white striped shirt and the black pirate's hat with skull and cross bones. Abracadabra! 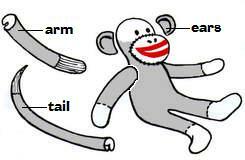 Dress your monkey in a magical cape, a scrap of material tied around his neck would do. Knit a wizards hat or just give him a small stick for a wand. He'll be casting spells in no time. 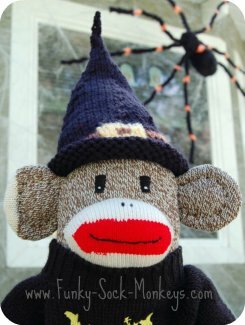 A simple homemade tall knitted hat with a belt knitted into it can get your monkey into a Halloween theme. Make a matching jersey if you'd like.